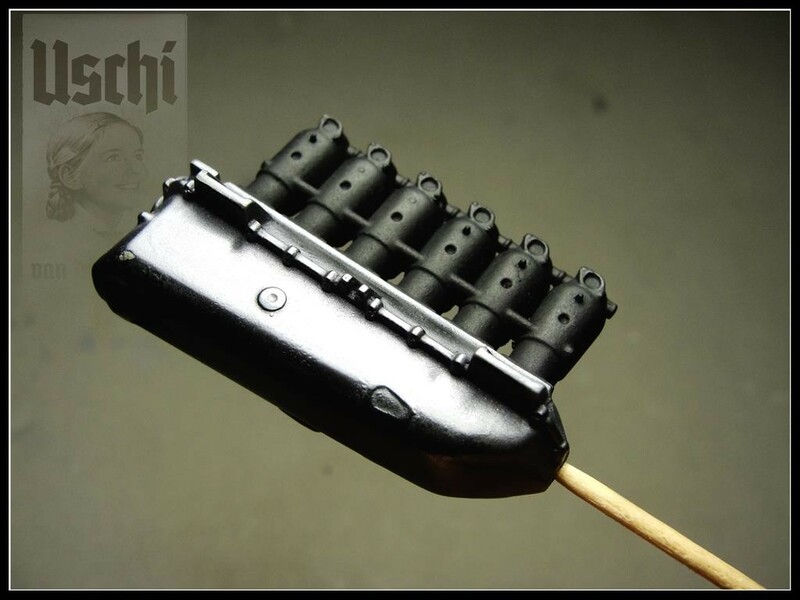 The Weathering Magazine Issue 4, featuring Polishing Powders as part of my contribution in the form of a 32nd scale WNW "Roland"
....is not only an Alclad World, even if I love them very much. ALC is not everybody´s darling for some reasons. 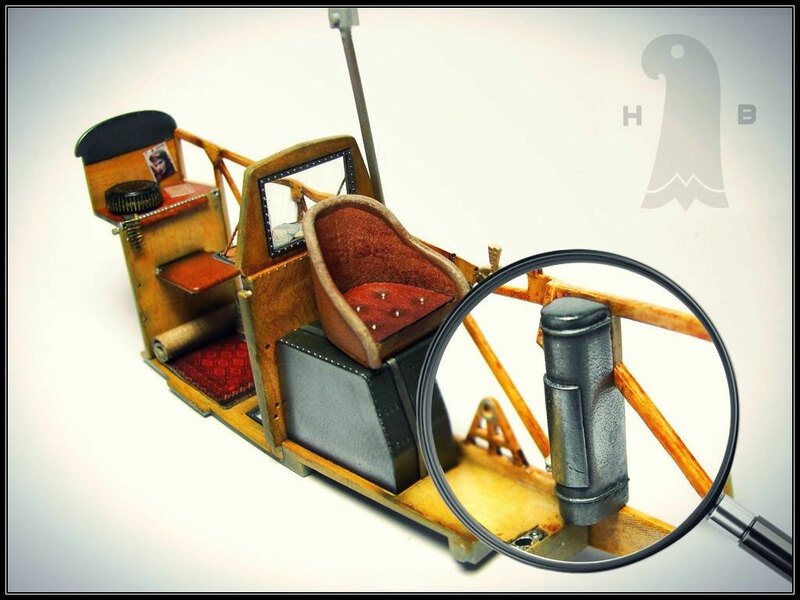 What you find here is an alternative for those who dont like ALC and another tool for those who like to have a variety of options available when it comes to NMF on all kinds if scale modeling subjects. The engine you see on the pictures above has been painted using materials of the shopping category listed below. 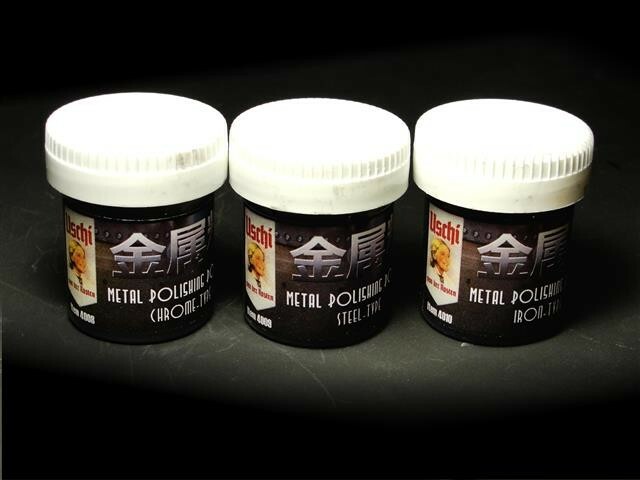 Its mainly a polishing color job, combined with metallic and dust pigments. 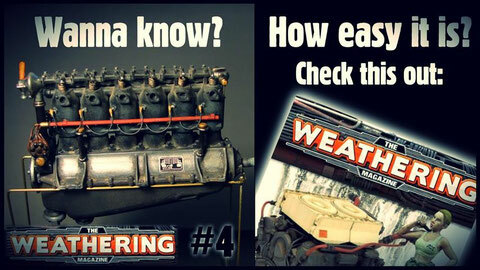 This engine was featured in AK-Interaktives "The Weathering Magazine", Issue No.4/2013, which was entitled "Engines, Fuel and Oil". Check out our extensive tutorial HERE. I have the pleasure to introduce a brand new start up company from the Slovak Republic: Ladies and Gentlemen, Guys ´n Gals, Brothers and Sisters, here comes Mr. Paint! I became aware of this company in early 2014. Being an inquisitive sort of chap, of course I had to give it a try. Boy, that really was one great experience! The metalizers will put ALC under pressure because the quality is 100% equal. Today in February 2014 Mr. Paint offers 5 metalic colors, competing agressively with ALC in terms of pricing. If Rene comes up with more metallizers, and that just would be a logic consequence, we gonna have two players on that market which is a good thing because we as customers should benefit from this. The other tones Mr.Paint offers are suuuuper smoooth colors with very unique properties. I have written some of my thoughts here on this Uschi page. Putting the Big Boys under pressure, Mr. PAINT the underdog from Slovakia. If you know the Alclad Drill, you know this one. Gloss black acrylic basecoat, let it dry for like 20mins and spray this one on top. Voila! Its like a superbright Chrome/Silver. Did you know that Duraluminium was a German invention? It has been discovered back in 1906 by Alfred Wilm in the City of Dueren (DURAL). It may have been a bright idea to create it, the material however is not the brightest in terms of tone. Mr. 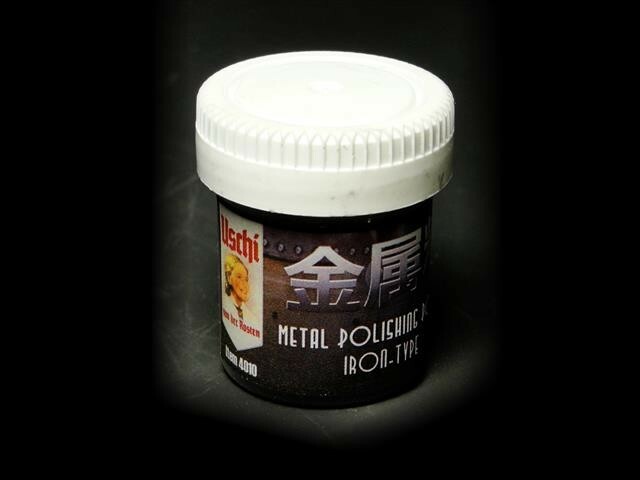 Paint delivers a DURAL tone which is tiny bit darker as the ALC version of this alloy. I like that because contrast is always a good thing. This one here is definitely darker than the ALC version of this metal. 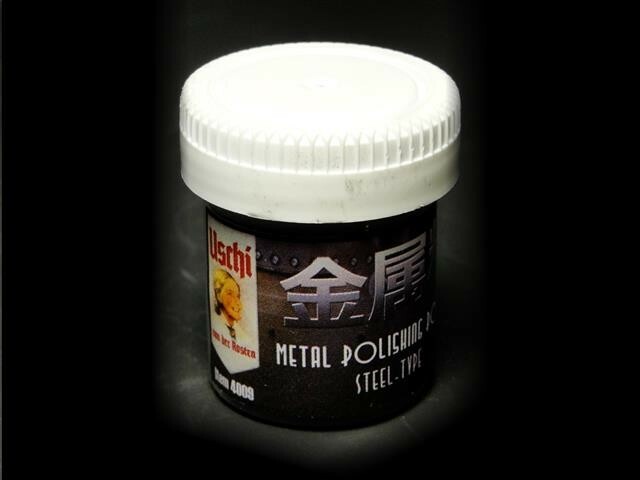 I like that because Steel is a rather dark metal in real life, so here comes a product which is great for the job. This one is interesting. Compared to ALC we have a tiny, tiny bit darker tone, but we also have a finer pigmentation. I was amazed by that and I do see the point why this is a good thing: The finer the pigment, the more glossy the result and thats exactly what we wanna have on Chrome, don´t we? This one is brand new stuff and no one has done it before: Anodized Aluminium. This color belongs to the category of metal colors and it will deliver a metallic surface. The original material is currently facing wide use in the aircraft industry. In terms of appearance, it is a metal tone with a slightly yellowish/green-greyish tone in it. (Reminds me a bit on a RLM-02) Certainly one of those colors one need to have on the bench in order to have plenty to pick from. One can control the shine by using a semi flat black basecoat for intance. I seet his color as a great asset for internals like wheel wells, weapon bays or backside of any kind of covers and such. Good stuff for the tough stuff such as leading edges and a large variety of locations all over aircrafts. Its a great tone in order to play with contrast and make surfaces more interesting. Thats what you need on the exhausts. Seal with flat varnish if required and combine with turpentine/dust pigment wash: KILLER! For the "Gunshine Luvah". 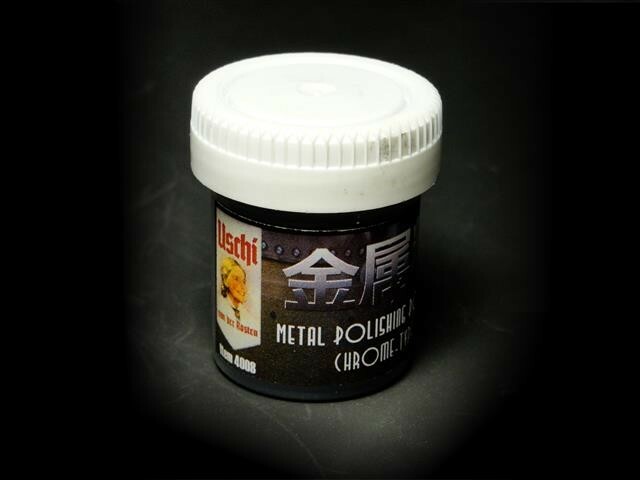 Blackish paint with metallic pigments. Brass. You know, like uhm.....like brass... Yeah right. That stuff. Bronze. You know, like uhm.....like bronze... Yeah right. That stuff. Your entry into "annealing" in the exhaust area. Also a great tone for achieving variation. Gold You know, like uhm.....like Gold... Yeah right. That stuff. The alternative option to the Alclad II system: Gunze´s "Super Fine Metallics"
The Super Metallic Colors (SM in the following) can be used on exteriors, interiors and engines of all kinds. They are as glossy as the basecoat applied and represent an excellent option for NMF. A super-polished and primed surfacer, covered with gloss black acrylic colors in fine layers (using the Levelling Thinner we have in the Thinners-category) will produce a super shine surface, ideal for exteriors. 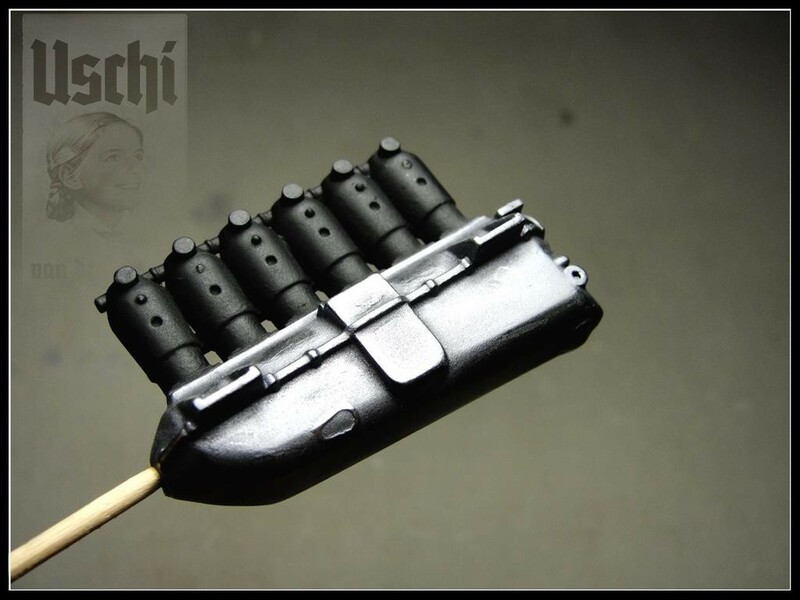 Applied on a flat black basecoat they will rather flat and represent a perfect base for a weathered engine or other parts of interior. One of the main properties compared to Alclad and Mr.Paint is that they are a little bit more easy to handle. These colors have a little bit more carrier liquid on board and therefore they level a bit better and even out small imperfections on the basecoat a bit better. The key is the mix. Alclad offers more tones and I love them, but its always go to have an alternative handy. Here it comes. Bright, glossy, shiny. These three words describe the product at best. Its a pleasing NMF-agent which should be part in any Super Metallic Color Collection. 18ml jar. This one is not only for Gold, Brass its also great to be mixed in other color colors of the Super Metallic Range in order to tint them a little bit. That how I always assemble my sets: Basic tones plus having a tinting tone handy. Thats how we brake up monochrome surfaces and create variation. Titanium is what is written in the label. I use it when I need variation on monochrome surfaces like wings and fuselages. It has has a very, very subtile redish/goldish touch which reminds on pale purnt effects. Its excellent when it comes to metal parts that will be filtered with brown oils for example, in order to render Oil-smeared engine parts or parts that are naturally exposed to heat. 18ml jar. Alclad II and Super Metallic might be some really good colors for NMF, but when it comes to the dirty side, these fellahs here are the guys to go to, seen from a mainstream perpective. They have been introdced to me by a friend of mine back in 2009. I saw an astonishing engine for a Stalinetz catepillar. I asked how these effects have been done and what a dark science this must be, he kinda shrugged his shoulders and said "I dont know, its these polishing colors, just put them on and buff them with a cotton swab or a cotton cloth. Its just what comes out when you do that." I was addicted to these colors since then. Thats why I have developed the Uschi pigments which offer an even better price/performance ratio. Polishing color for wing panels, fuselages, engines, interiours and such. Becomes shiny on buffed spots, stays flat on not buffed spots, creating depth and variation. A quite bright bright color that fits many occasions. Its brilliant to brighten up the centers of darker metal panels prior buffing. Polishing color for engines, interiours and such. Becomes shiny on buffed spots, stays flat on not buffed spots, creating depth and variation. One of the dark to medium-bright colors of the range. One can use it on many occasions. Its one of the most used polishing colors on my bench. Polishing color for engines, interiours and such. Becomes shiny on buffed spots, stays flat on not buffed spots, creating depth and variation. A medium bright color that fits on any engine. Its not only engines. I use it where ever it fits on smaller and larger parts. Polishing color for engines, interiours and such. Becomes shiny on buffed spots, stays flat on not buffed spots, creating depth and variation. A quite dark color, one I use very often. Polishing color for external surfaces, engines, interiours and such. Becomes shiny on buffed spots, stays flat on not buffed spots, creating depth and variation. A quite bright color.